There are 30 other images of this object. See our image rights statement. See more objects with the color darkslategrey tan grey dimgrey or see all the colors for this object. 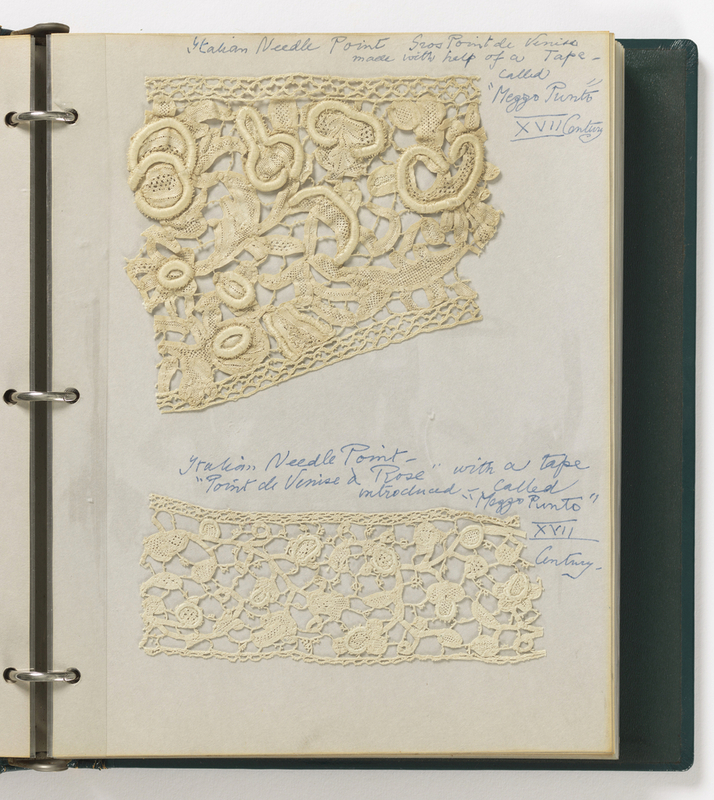 This is a notebook of lace samples. It was collected by Mrs. Marian Powys-Grey. It is dated 20th century and we acquired it in 1966. Its medium is leather, paper, linen, silk and its technique is notebook of needle and bobbin lace. It is a part of the Textiles department.